Oxford at the Boulevard Apartments in Corinth, Texas offers spacious one, two, or three bedroom apartment homes, all with a private garage and a washer/dryer, you'll be surrounded by many of the amenities you’ve always desired. 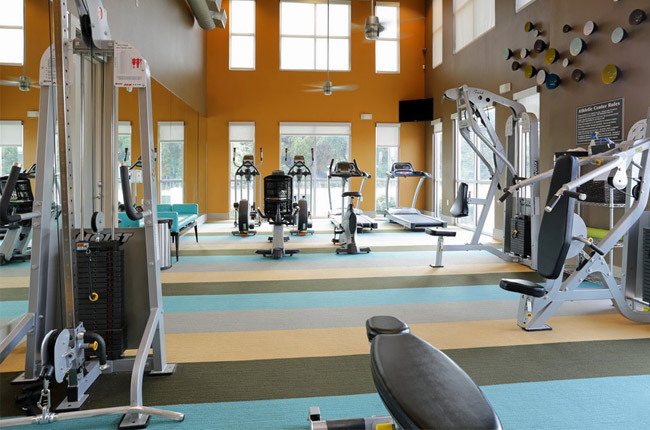 Our community is sure to impress with its six exhilarating floor plans. Each apartment combines refined living with state-of-the-art design. High-end amenities are at your fingertips with our gourmet kitchens with island, stainless steel appliance package, granite countertops, and oversized soaking tubs. Our community amenities mimic those of a resort-style getaway: cook up a feast with friends in our outdoor kitchen with gas grills, squeeze in a workout in our 24-hour athletic center, or take a dip in our spectacular saltwater pool. Located in the future downtown district of Corinth, we feature close proximity to the city's best restaurants, shopping, and entertainment. Discover all that Oxford at the Boulevard Apartments has to offer to our residents, and come home today! Oxford at the Boulevard boasts a central location in the heart of Corinth, Texas, which is right outside of the bustling suburb of Denton, Texas! We feature close proximity to Interstate 35E. Many restaurants align the interstate: have your fill of authentic Mexican and mouthwatering Italian cuisine or just chow down on a tasty, traditional hamburger. For outdoor enthusiasts, we are surrounded by beautiful green space. Enjoy a sunny afternoon at Oakmont Country Club, Corinth Community Park, or Lake Sharon. Shopaholics won't be disappointed: The Shops at Highland Village is less than ten minutes from our community, offering residents access to numerous stores such as Barnes & Noble, Ann Taylor, Banana Republic, and James Avery. As far as location is concerned, we have all of your needs covered at Oxford at the Boulevard. Call and schedule your personalized tour with one of our staff.